The 23-year-old has been a part of McLaren‘s Young Driver Programme since 2010, but the last rung on his career ladder is proving to be the hardest to take. De Vries finished P4 in the F2 2018 World Championship, with George Russell, Lando Norris and Alexander Albon all finishing ahead of him and all clinching Formula 1 seats with Williams, McLaren and Toro Rosso respectively. That particular fact does not sit particularly well with De Vries. 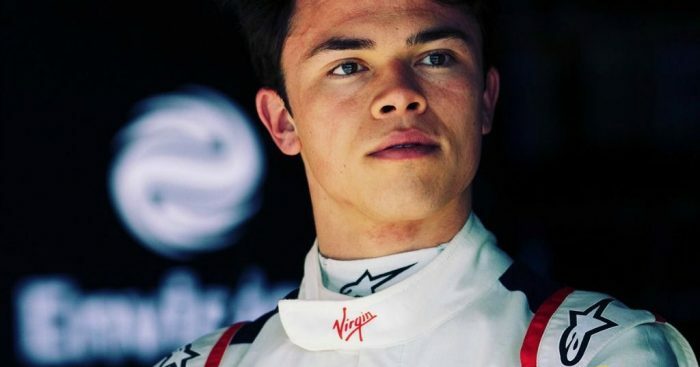 “I do not want to be arrogant at all, but Norris and Albon were in my eyes really no better than me,” de Vries told Dutch newspaper Friesch Dagblad. De Vries added that there is some frustration building with his lack of progression but is still proud to be in the reckoning despite some uncertain times at McLaren. “I grew up with about 70 percent of the current F1 grid,” he added. “Of course it is sometimes frustrating to see that they are there now and not me, but everyone walks their own path, and for some it is easier than for others. “A few years ago, choosing McLaren was the best choice, but when the team’s performances declined it lost sponsorship and it was necessary to cut certain budgets.